Create your ideal garden with this indispensable guide from the National Trust. 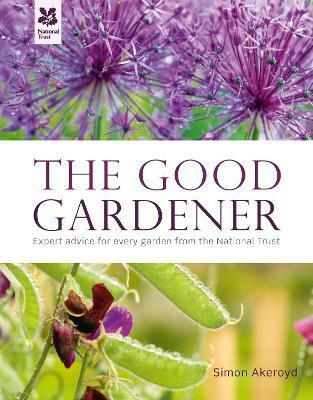 The Good Gardener explains traditional skills tried and tested by generations of National Trust gardeners, including expert advice from the head gardeners at world-famous Hidcote, Sissinghurst and Stourhead, and reinterprets them for the modern garden - large and small. Packed with illustrated handy tips, step-by-step guides and beautiful photography, this book is suitable for everyone from novice through to expert. It covers all aspects of gardening, from the basics through to landscaping and design, pruning and propagation and creating a more sustainable garden. Whether you want to start off with a low-maintenance garden, grow your own fruit and vegetables or attract wildlife, The Good Gardener will help you enjoy a beautiful garden all year round. Garden basics - soil type, aspect, weeding and digging, plant picker guide of what to grow, where and when; Designing your garden - function vs aesthetics, landscaping, low-maintenance gardening, container gardening and a return to lost styles and techniques; Lawn care and alternatives to lawns; Planting; Propagation; Pruning; Garden maintenance; Grow your own - growing fruit, vegtables and herbs, crop rotation, advantages of growing your own; Greener gardening and wildlife gardening - natural alternatives, how to encourage wildlife, how to deter pests without damaging the environment, beehives and composting tips. Simon Akeroyd has written several bestselling practical gardening books: Lawns and Ground Cover (DK 2012), Shrubs and Small Trees (DK 2007), Allotment Handbook (Mitchell Beazley 2013). He is currently Garden Manager for the National Trust English Riviera portfolio but before that he was Garden and Countryside Manager at Polesden Lacey in Surrey, and a RHS Garden Manager. Between 2001-05 he worked at the BBC as a horticultural researcher and writer on various gardening programmes.